Five years ago, Maribel Martínez received news that one of her children had an inflammatory bowel disease and had to take five tablets a day, at a cost of $15 per tablet. "I left the gastroenterologist´s office in tears because, even though I work, I'm a single mother and I thought all this was going to cost me more than (paying for) the house," recalls Maribel, a lab technician. Martínez and her three children had a private healthcare plan, but it only covered generic drugs, and the one prescribed to her son was not available in that plan yet. She was recommended to apply for the Government Health Plan. Martínez thought she would not be eligible, but she decided to apply since she was told that, in addition to income, items such as medicine expenses were considered. And she was eligible for the program and that included the four family members in the same plan. Maribel (44) decided to keep her healthcare private plan, for $220 a month. She would use her private coverage as the primary and the Health Reform plan as a supplementary option. But, like the deductibles, her private health plan climbed to nearly $400 a month, an amount she couldn't afford in 2017. So she dropped that plan and decided to keep the Government Plan. However, that picture became worse on March 5, when, during a re-certification appointment at a Medicaid office, she was told that income standards and deductibles changed. Only her son with an intestinal disease would remain in the program. "Net income changed to gross income. Before, if you paid for a car, it was deducted but not anymore. They also took medicine costs out of the income, now they only deduct cost from the person taking the medicine, and the $90 deduction only applies to one participant. In addition, my income was credited to everyone, when that is shared (among the family members). Only my son with the intestinal disease was eligible. My other two children and I were not eligible,” she explained. Without a healthcare plan, Martínez has been unable to continue with her other son´s treatment, buy him medicine he does need to take, or attend a follow-up appointment for a gastrointestinal condition she was diagnosed with in February, when she was hospitalized. "They told me (at the Medicaid office) that now comes the Reform boom with eligibility reviews," Martínez said. She said she made arrangements for a private healthcare plan for her children and another for her for almost $350 a month that she doesn't know how she will pay. "Honestly, I don't know how I will pay for this. I know it's going to be really difficult. You stay in limbo. Everything is a complication," she said. Over the past five years, the Government Health Plan has lost some 200,000 participants. In July 2017, new eligibility standards based on the Modified Adjusted Gross Income (MAGI) concept was implemented in Puerto Rico. MAGI is a method to determine eligibility for Medicaid and CHIP (Children's Health Insurance Program). Other factors, such as accelerated migration –particularly growing after Hurricane María- have influenced on this drop in the number of policyholders, which raises concerns both from the government and from insurance companies administering the Reform concerned, since the number of beneficiaries is lower than projected. Concerns are such that the Puerto Rico Health Insurance Administration (PRHIA) is considering to increase the level of indigence allowed in Medicaid parameters so that they can retain more people and qualify for the Reform. "We are doing an analysis to increase the allowable income level and raise the indigence level in order to ask the federal government to raise the parity level relative to that increase. 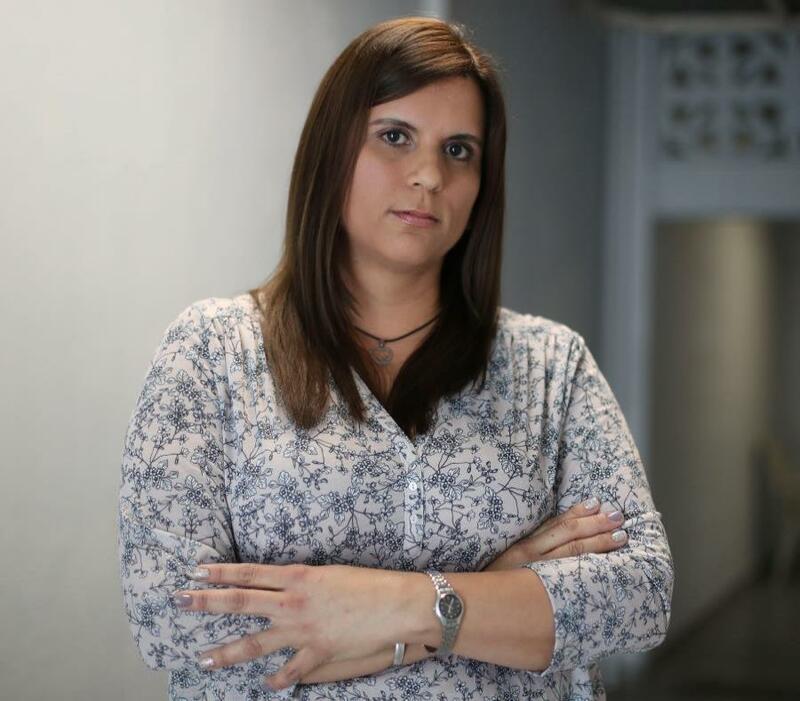 I hope this analysis will not take more than two weeks," said Ángela Ávila, director of PRHIA. She added that economists and actuaries are working on this evaluation to identify its budgetary impact. Avila said they will soon notify the Oversight Board and the government of the request they will be making to the federal government through Medicare and Medicaid Services centers. She noted that under the new Medicaid eligibility standards, all processes are electronically compared. And she explained that before, it could be at the examiner´s discretion to request evidence of the applicant´s spouse´s income and verify the information, but now, if all the data is fully submitted, the system does not provide to close the case. "There were changes in Social Security that also affected people´s income levels causing them to lose eligibility. There's also the effect of (the increase) hourly pay, for example, for people who work in construction. Those minimal changes can leave a participant out (of the Reform)," said Ávila. She also warned that this downward trend in participants has also been noted in other government programs, such as the Nutrition Assistance Program (PAN). As for the changes that MAGI brought, she said that when reviewing the applicant's eligibility criteria, there is also a "traditional evaluation", as was usually before the new federal parameters came into effect. "What are we doing? We are identifying areas of opportunity so that the people who need treatment do not lack treatment," said Ávila. She explained that they are conducting a "reconciliation process" among different government assistance programs, such as PAN and Medicaid, to identify the causes of the drop in participants. As for the possibility of an adjustment in the poverty level requirements in Medicaid, she said the federal government would reduce the number of state policyholders financed by the local government. An applicant cannot have income of more than $10,000 per year to be eligible, and the idea is to increase that line so that more people can benefit. She added that another future initiative could be the creation of a product for people who are not eligible for the Reform or to offer economic incentives for healthcare coverage. A Medicaid employee who requested anonymity told El Nuevo Día that the drop in Reforma policyholders has led to the consolidation of offices and the relocation of employees. For example, the offices in Guánica and Yauco were consolidated, as well as those in Villalba and Coamo. He added that many of those who were excluded from the Reform were eligible at the state level. "After the hurricane and the end of the waiver (moratorium on recertification appointments), the number of people who did not go to their appointments increased and there are a lot of uninsured people who don´t know about it," warned Víctor Ramos, president of the College of Physicians-Surgeons. For Jaime Plá, executive president of the Hospitals Association, the drop in recipients has an adverse effect, since projections were not met. “Hospitals are receiving sicker people and, in general terms, also older,” he noted. Elda Sierra, from the board of directors of the Puerto Rican cooperative of community pharmacies, Coopharm; and José Sánchez, former president of the Puerto Rico Clinical Laboratories Association, assured that there were people who despite not being eligible, were in the program. "It is an open secret that many were unjustly admitted because of their income, but I consider that it´s not correct to think that just because they work, they don't need Reform because private plans are very expensive and they should have the right to have Reform and pay (higher) deductibles," said Sierra, who warned that some people would even choose to give up their jobs to stay in Reform. According to Sánchez, the government's Health Plan had become a "political tool" that jeopardized the release of federal funds for the program. "But I know of many with minimum wage that have been left out of Reform, and that's bad. It's going to have an impact on people´s health because those with chronic conditions are going to get worse, and that's going to cost the state even more," he said. He added that, according to estimates, the number of people without healthcare plans on the island could climb from 300,000 to 600,000. For Dr. Ibrahim Pérez, a health analyst, it is strange that the Reform budget continues to increase even though the number of participants has decreased. "There's no data to analyze the reasons. It doesn't make sense why expenses increase when there are fewer people (in the program)," he said. He anticipated that this will have a double impact both on patients and providers, increasingly opting to leave the country. In analyzing data from the Community Survey between 2010 and 2017, demographer Judith Rodríguez said that, in that period, almost a quarter of Reform's beneficiaries were reduced. She mentioned that most of those who do not have a healthcare plan are men between 18 and 64 years old. She noted that while nearly half of the country's population are under Reform, in Florida, only 18.6 percent are in Medicaid. "And there is when you see poverty. Everything is related to the lack of employment. If they are taken their healthcare plans, where will these people go? There are many who are not going to have the money to buy insurance," she said.